Welcome to our 5th Annual Senior Announcement Fundraiser. 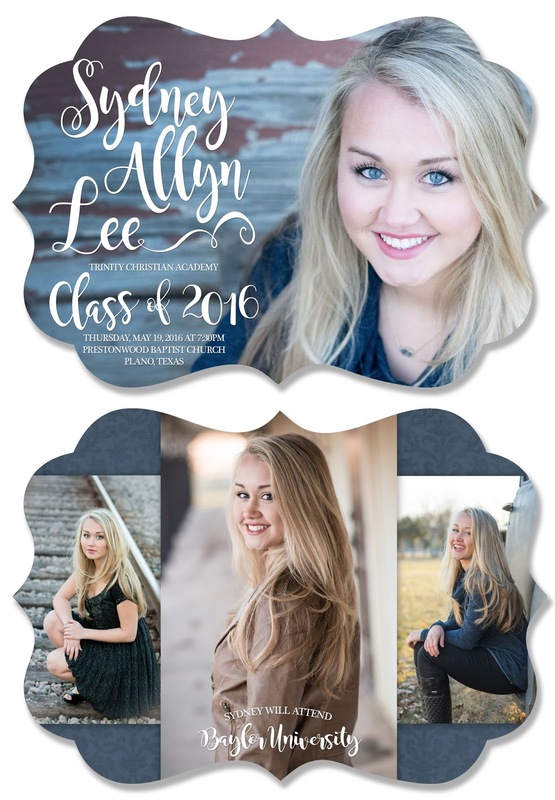 By purchasing our cards, you are helping fund non-profit efforts for our family and the organizations our senior students are involved with. 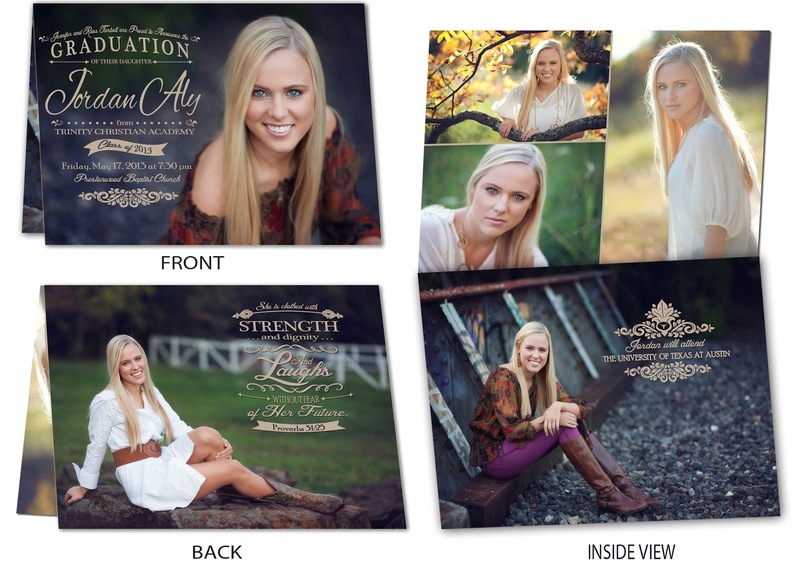 Our prices are comparable to template photo announcements through Balfour, Shutterfly and other online retailers but are created completely custom to your student's photos and personality. 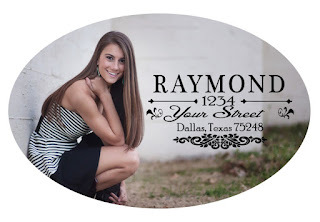 There are no watermarks or business logos included, only your child and their information is featured on the card. You are in control of the amount of photos you wish to have featured on the card and all the text. 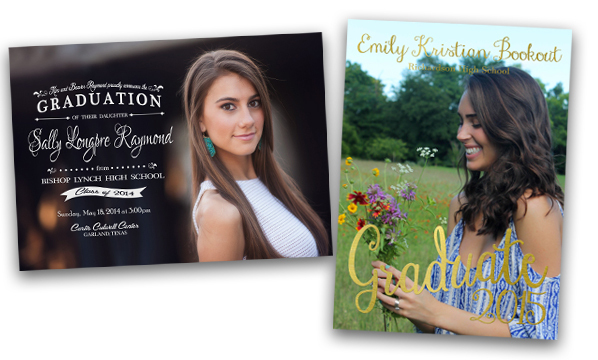 Easily include wording for a graduation party invite, where your child intends to attend in the fall, and more. Below are samples of just a few of our past clients. Most of our families return year after year for Christmas Cards, birth announcements, party invitations, and for younger sibling graduations. You may also include images of anything your student has seen online and loved as a design reference if desired. A proof will be sent to you for your review and once edits and changes are finalized you will receive an invoice. Payments will be accepted via check and paypal. Credit Card payments will include a processing fee of $3.50. Once payment is received, your cards will arrive to you within 2-3 business days. 3x2" Oval Stickers designed to match your student's announcements. 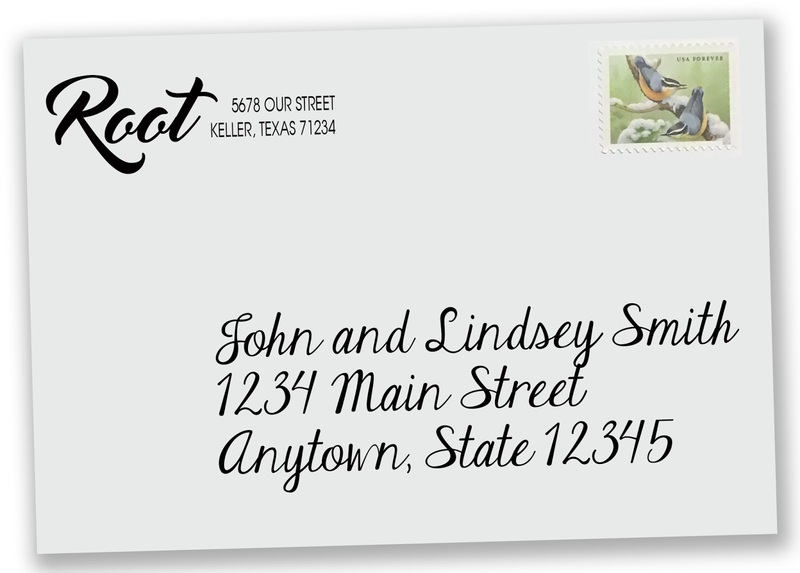 For an additional $1.00 per mailed card, you can have your announcements addressed, stuffed, sealed, stamped and sent to your friends and family. 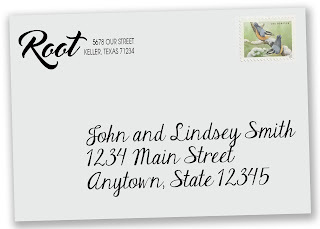 All you have to do is provide a digital list of addresses, and we do the rest! Any remaining cards will be shipped to you. Price includes the cost of domestic first class postage, international postage rates will be invoiced additionally. EXAMPLE A - Parents Listed, Graduation Ceremony Information not included for schools that require tickets to attend. EXAMPLE B - Parents Names Not Listed - Graduation Ceremony Information Included for schools without maximum guest restrictions. Detail of an outstanding accomplishment. Whatever you choose to include, let it showcase your student and their personality! 100% of the proceeds are given to non-profit endeavors, and this year we are proud to partner with the Bands of Keller Booster programs. Final proceeds will be given to the non-profit sending organization hosting Gina's Mission Trip to Israel in November of 2017.